This is Sophie’s first interactive lesson at distance education. She has been disengaged in mainstream schooling for many months and doesn’t want to be here. How are schools of distance education catering for today’s rise in medical enrolments with mental health issues? At Capricornia School of Distance Education, we teach daily lessons online via Collaborate and teleconferencing. The recent tsunami of medical enrolments has caused us to consciously review and refine our practices to upskill staff and adapt our approach to successfully engage students just like Sophie. We have been promoting John Hattie’s (Visible Learning, 2012) approach of Visible Learning to ensure students are active in the lesson. Teachers are also encouraged to gather evidence of learning during the lesson to ensure we have data to inform future planning and to adjust our differentiated support. In some cases, this is the only work teachers will receive from students. Almost all assessment tasks, particularly in primary, are completed during lesson time with teachers. The feedback is shared with students and the Home Tutors who work closely to support their children at home. When the student has work modelled and targeted at their level, the student is more likely to engage and participate. Another successful strategy to engage students with anxiety, is for teachers to use the private chat option in Collaborate as well as break out rooms. The students receive instant encouragement and feedback from teachers. This reduces the pressure of performing in front of others while the student builds confidence. Gradually they engage more in discussions and sharing work within the class. New students with anxiety will often receive one on one coaching sessions with our Special Needs and Diverse Learners staff to get them confident enough to join into classes. The most effective strategy to engage students is, of course, building relationships. This is the key and certainly more challenging to do in the distance education mode. Regular phone calls to parents, web cam in lessons, regular emails and certificates help. At Capricornia SDE, students are able to visit the school to meet and work with teachers and classmates in week long Mini-schools held each term. Workshops are offered for Home Tutors. One new parent last year compared visiting the school ‘to a warm hug’. She said she ‘felt supported and took away excellent strategies she could use in her schoolroom’. Capricornia SDE employs a fulltime Guidance Officer, Corey Bloomfield, to assist with case management and upskilling staff and parents. He is currently overseeing the embedding of Mind Matters as the school framework. We also have a proactive Wellbeing Action Group (WAG) who focus on providing staff with resources and strategies as well as creating a culture of support and wellbeing. Eg. 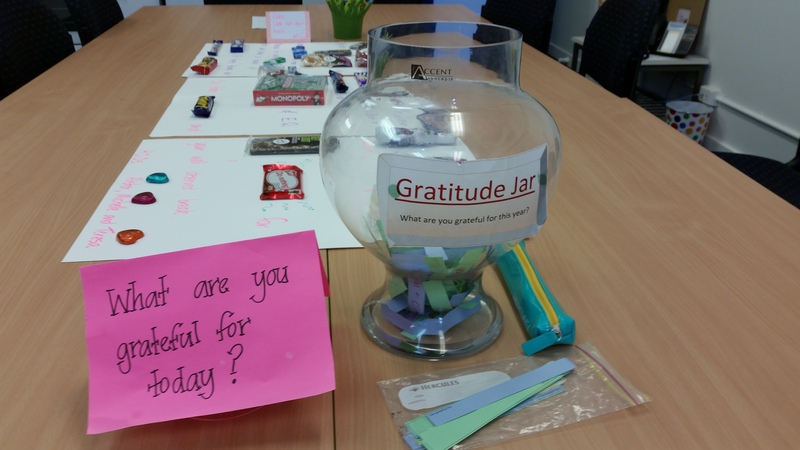 Compliment Friday, walk and talk meetings, gratitude jar and end of term celebratory chocolate posters. Happy, well supported teachers and Home Tutors flows into the tone of daily lessons. Calm, confident adults can positively influence our students. People at Capricornia SDE are our greatest asset. We invest in them.